HSI’s infrared heating system can be applied for reducing snow loads on roofs. Severe frost causes bitumen to crack, especially when snow is removed manually. Apart from reducing the snow load on a total roof construction it is also possible to apply the roof heating locally, e.g. at the connection between a high and low structure where snow can accumulate. 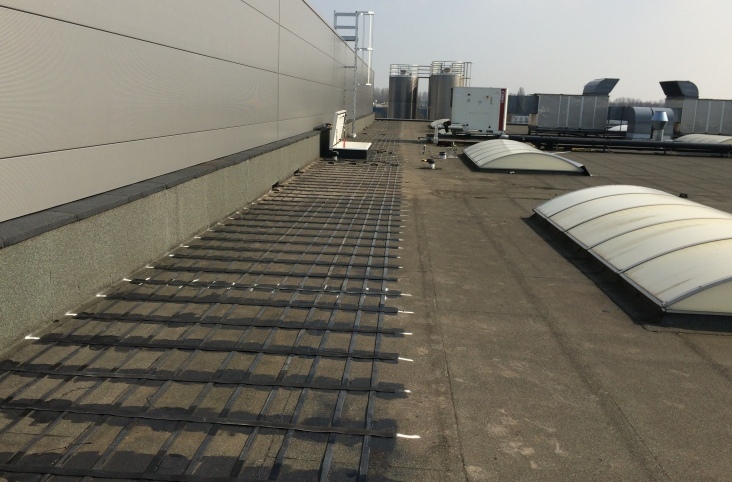 The heating ribbons can be attached to an existing roof surface or be embedded in new roof coverings.